I was on my hands and knees, picking golf ball-sized rocks out of the mud. The rain drummed on my helmet and ran down my neck and back. We were wearing our rain gear, so we steamed from the inside out like vegetables. As I dug through the mud, I began to question every decision I had ever made. Maybe if I hadn’t played in the woods as a kid and instead buried my nose in books I would be anywhere else but here. Man Bear Pig—or MBP, as we came to call the FOB—was surrounded by farmland that reminded me of Kansas. It was flat, with shades of green and brown, and when it rained it became a nightmare to patrol. 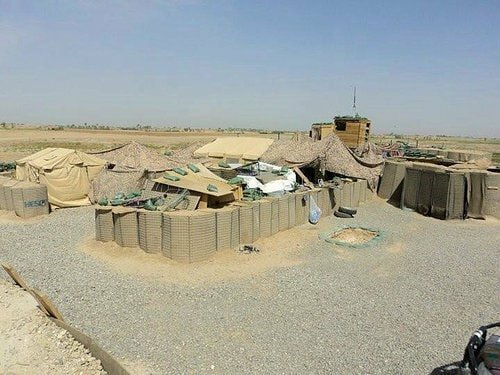 The terrain was typically dry throughout the year, which made it easy to walk on and easy to see if the ground had been disturbed if the friendly neighbor had planted an IED. The problem was that winter was the rainy season. I once watched a fellow Marine, a friend of mine, struggle to free himself for over an hour from one of those fields. He tried to walk through the mud while others circumnavigated it, and he got trapped. We laughed and ridiculed the Marine as we watched the poor guy crawl, for what must have been well over 100 yards, through mud that robbed him of his boots. Almost every day over the course of the winter, we patrolled back to base with our feet caked in mud, significantly heavier than when we had left the wire. 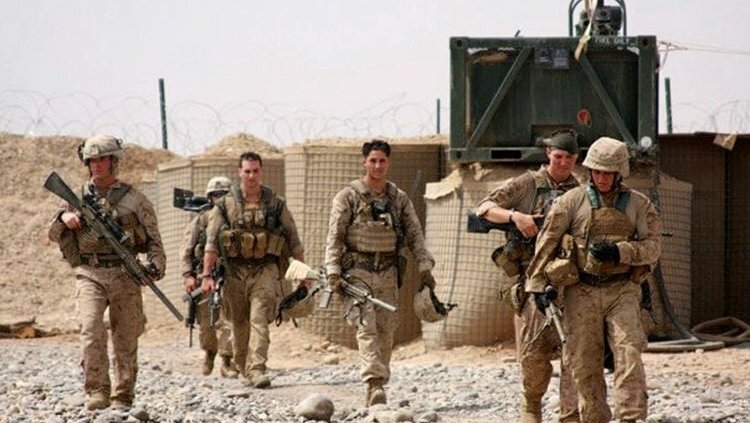 Those of us who had a tent to call home—maybe a third of the Marines—did our best not to track in the mud, but it was impossible. Instead of taking off boots near the tent’s entrance like rational people, we walked straight to our bunks, dropped our gear, and then took them off. It was lazy, sure, but nobody cared. The tent quickly filled with clumps of mud. An officer in charge—never really knew who—came up with a plan. We would put rocks in front of the tent. The idea, I believe, was to use the area to kick off the mud and rinse off our boots. The officer was commended on his idea by the senior enlisted Marines. Idiots. “Where can we get the rocks?” someone asked. The post down the road, where Bravo Company Command was based, had funds to use at their discretion. A couple hundred dollars would buy enough gravel, easily. But we were told a truck couldn’t come for several days, and this project had to be completed immediately. The solution? Manpower. 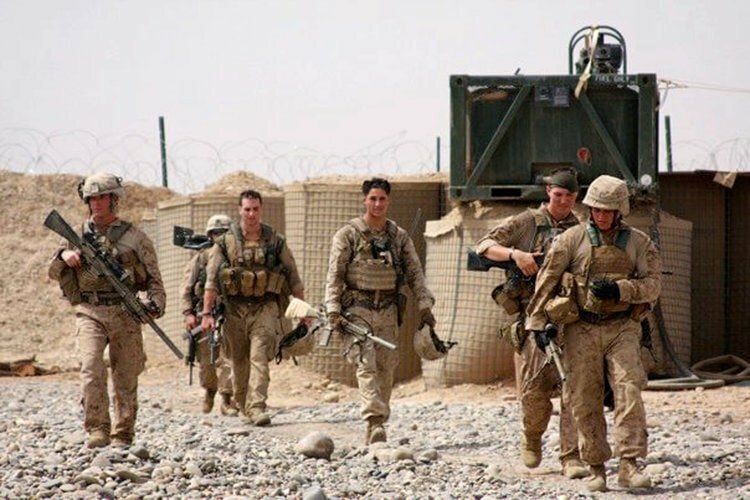 Marines—myself included, of course—toiled about 50 yards outside the wire with empty sandbags, picking up rocks by hand. In the rain. In full gear. In a hostile area of operations. Because we had our rain layers on, we were drenched inside our gear while our hands and feet froze. This restricted the movement of our hands. I remember slowly opening and closing them, muscles and ligaments slow to respond. We squatted, or got on our hands and knees, and started picking up rocks and filling our sandbags. When they were full, we would trudge back to the base and dump them in front of the tent. Had we made any progress? it was difficult for us to tell. The lieutenant, who stood idly, remaining dry under shelter, may have been tracking our progress. We repeated this process for hours. I began to pray for contact, just a few pop shots. Some inaccurate fire so we could stop this madness. 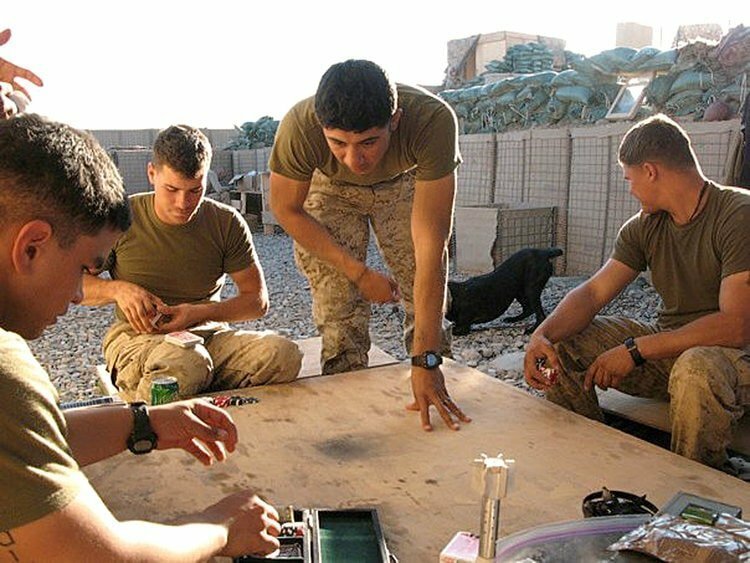 In the month or so we had been in Afghanistan, most days we found ourselves in brief firefights, and maybe a few rounds too close for comfort would demonstrate the unnecessary danger we were placed in. As we gathered our rocks we periodically looked to the west, keeping an eye out for shooters. They always shot from the west. My prayers were not answered. No shots were fired and the work continued. At one point, a Marine brought a rock to his friend and asked for his hand in marriage. He explained that male penguins search for the perfect pebble for their mate and present it as a gift. The Marine smacked the rock out of his suitor’s hand, questioned the Marine’s sexuality, and went back to work. After a while a flak jacket can start to dig into a person’s shoulders. The weight of the rain added to our combat loads. As the hours went by, our backs and shoulders ached from being hunched over. Our helmets weighed somewhere around five pounds. As we scanned the ground our necks began to hurt. As I poked around in the mud, I heard the distinctive rumbling of exhaust brakes. Everyone stopped what they were doing and watched, as a large truck made its way towards MBP. “Is that a… ?” someone murmured. “Shut up,” someone cut him off. We stumbled to the entrance of the base and watched as a dump truck emptied a load of gravel. Our backs and necks ached, our legs cramped up, hands and fingernails were tattered—for nothing. We were ordered to move the gravel from the entrance of MBP to the entrance of the tent. Double time. After serving in Iraq and Afghanistan during his four years in the Marine Corps infantry, Dustin Jones attended the University of Colorado Boulder, where he studied journalism. His interest in journalism developed during his deployment to Afghanistan in 2009/10, where New York Times journalist C.J. 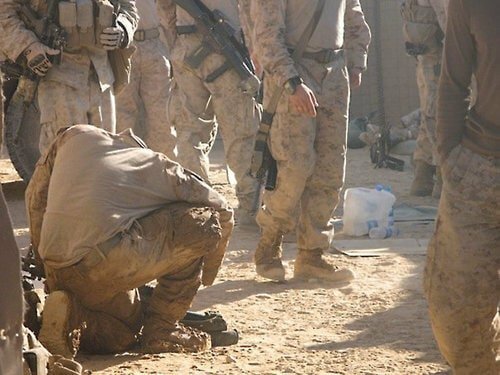 Chivers and photographer Tyler Hicks were embedded with his unit. Several months passed before Dustin was able to read the articles and see the photos that the team produced. A story about his comrade’s funeral service by Chivers, accompanied by photos from Hicks, had him hooked. He is currently a reporter in the small Montana town of West Yellowstone, and he is working on a book that focuses on the transition from military to civilian life. He has a dog named after Patrick Swayze.